Who doesn’t love bread? Who doesn’t love cheese? 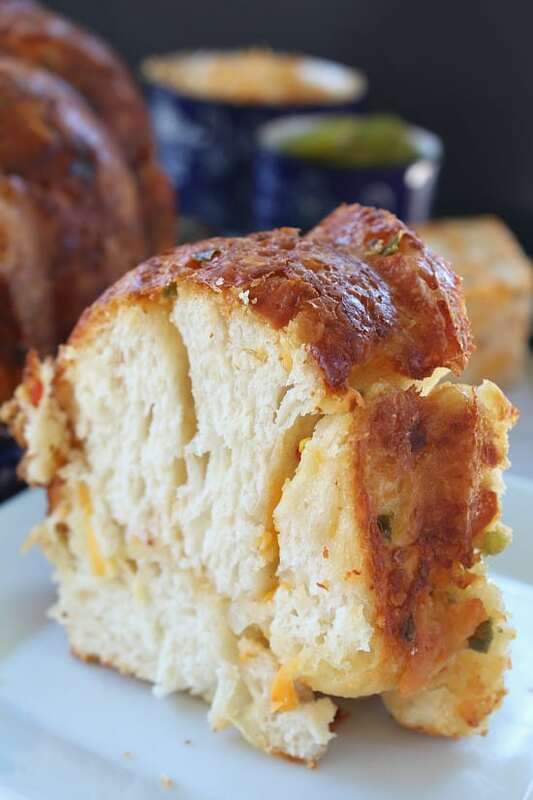 And… who doesn’t love monkey bread? Well, you are in for a treat! 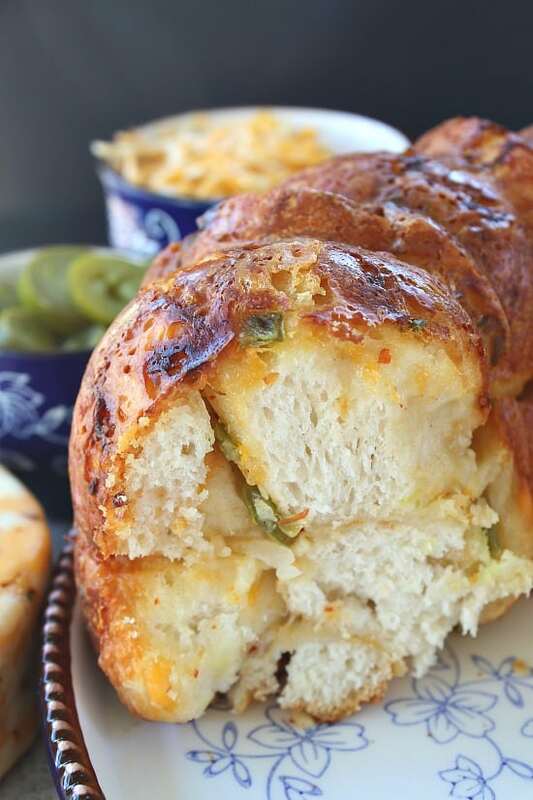 This three alarm cheesy onion monkey bread is totally the bomb! This delicious monkey bread will have your family asking for more! I like to use spicy cheese and this is definitely spicy. Any cheese will work, so change it up a bit if you are not into spicy food! 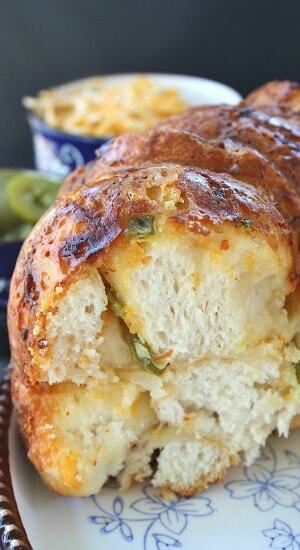 Oh, and by the way, the jalapenos tastes amazing, making this monkey bread all the more spicy! 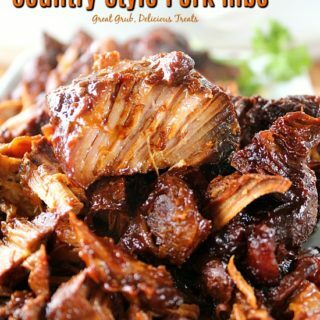 Doesn’t this just look amazingly delicious? 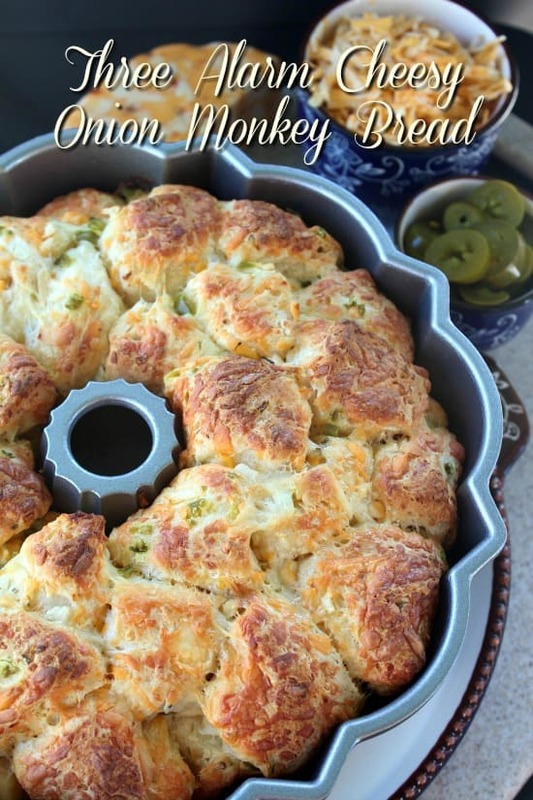 This three alarm cheesy onion monkey bread is super easy to make. 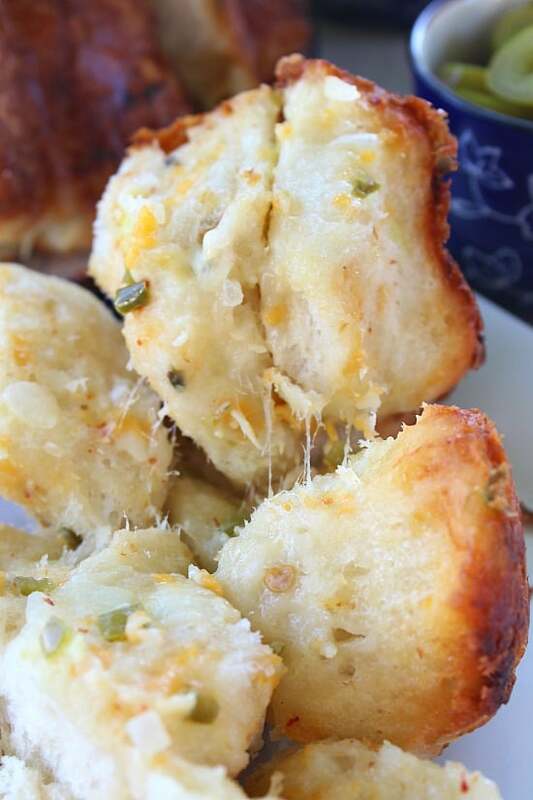 Just cut each biscuit into quarters and add them to a large mixing bowl, add your cheeses, onions and jalapenos. 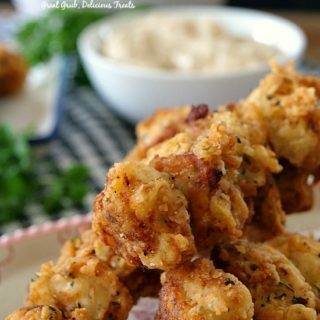 Mix together, and then add the melted butter. 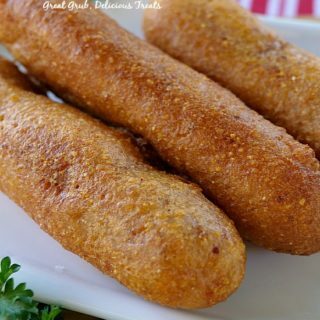 Toss and bake! 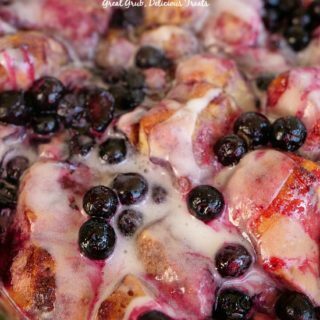 In no time you can be enjoying this awesome monkey bread. 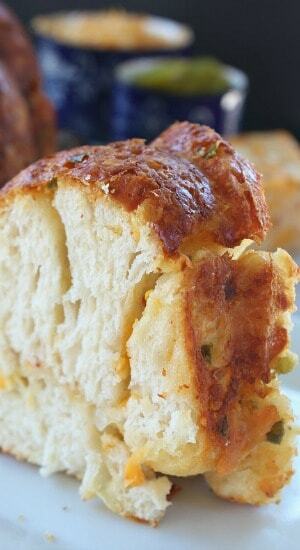 This delicious bread is great for breakfast, brunch or anytime actually! Seriously, we cannot get enough! I bought the three alarm cheese from Sam’s Club® but you can find other spicy cheeses in your local grocery store if you can’t find this cheese in your area. 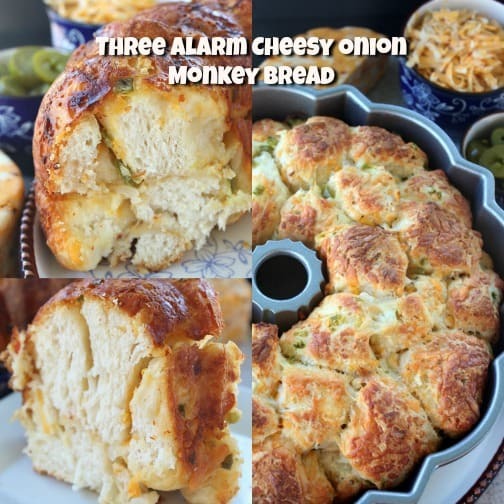 This three alarm cheesy onion monkey bread would be great for dipping into a nice big bowl of chili! Yum!! Delicious and hot out of the oven goodness! Try some today! Preheat oven to 350° and lightly spray a 10 inch Bundt pan, set aside. 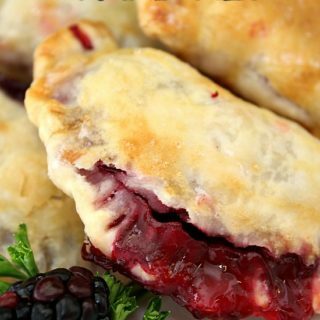 Cut each biscuit into 4 pieces, separate and put into a large mixing bowl. 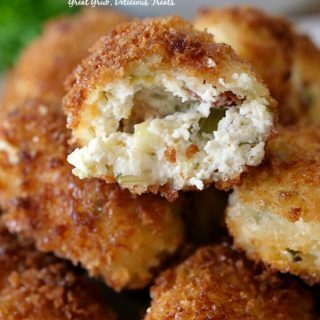 Add both cheeses, onions and jalapenos. Gently toss to coat. Melt butter and add to large mixing bowl. Toss to coat biscuits. Add to Bundt pan and bake for 38-40 minutes or until golden brown.